Digital cameras are a wonderful tool to take advantage of. I carry my ‘point-n-shoot’ camera with me almost everywhere I go. Have you been in a fender bender lately and wished you had proof of the damage done to your vehicle (or the other party’s vehicle? Have you found yourself at a store and spotted something you knew a friend would like? 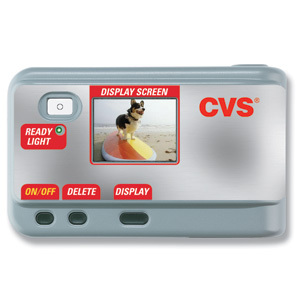 Take a snap shot of the item and send the friend an email with the photo, location, and any other information needed. Create a digital holiday or birthday wish list. Take photos of items you wish to receive and email them to your hubby, friends and family. This way you will be guarenteed to get the right gift and not have to waste time in the return line! If your child or yourself has a rash or other mysterious irritation somewhere on the body, take a photo of it and email the photo to the pediatrician or family doctor. Many times the mystery problem can be solved over the phone and can save you a trip to the doctors. If you don’t have a digital camera yet, look into picking up a couple disposable digital cameras. They can cost between $10 and $20 and usually come with 2 mega-pixels. Stach one in your vehicle, purse, diaper bag, and/or camping gear. You will be ready for any need that arises.